Founded in 1902, the Claude Dozorme brandname is the seal of a long family tradition. Passed down from generation to the next, commintment to fine workmanschip is still paramount for the craftsmen, all of whom are trained in the well-tried and painstaking skills of the Master Culers. The Claude Dozorme swords are the result of meticulous research and commitment to quality, making this fine piece of quality craftware a unique item ! 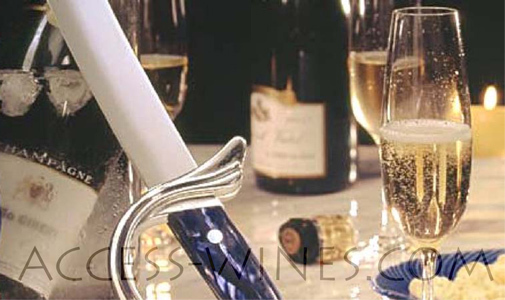 VinoServ Champagne makes immediately conclusion with the waste of valuable residues sparkling wine or Champagne. The opened bottles after each pouring out under a pressure to hold filled of 3-4 bar with the special gas VinoServ Champagne in such a way sparkling wine and Champagne its freshness and its taste. cellars for Wines and Champagnes CaveDuke !